This is another specialized area of medical science that overlaps with Diving Medicine. 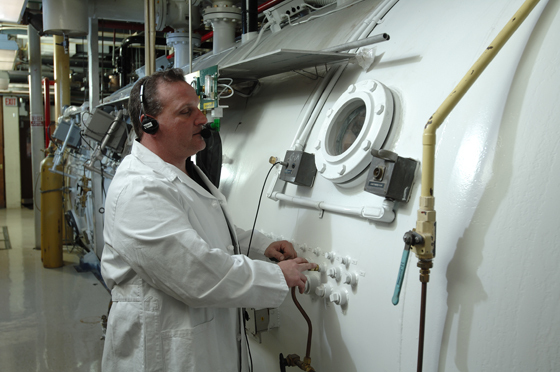 It specifically deals with the administration of Hyperbaric Oxygen (HBO) as a medical treatment for certain diseases. For the diver, HBO is the specific cure for Decompression Illness (DCI), and is life saving in the treatment of Air Embolism. Aviators also suffer decompression illness due to rapid changes in altitude or cabin pressure and occasionally require HBO therapy.